Scaly leg mite is caused by a mite that burrows under the scales on a chicken's leg making them raised and encrusted. 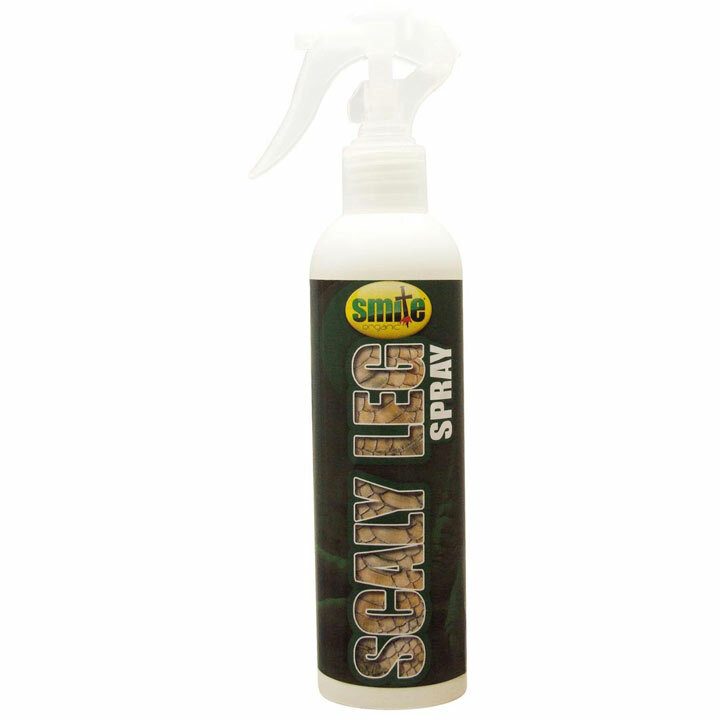 Never be tempted to remove the scales, instead apply this easy to use spray to the bird's legs. The liquid will cover the skin in a protective film promoting regeneration of stressed skin and is both a treatment and a repellent. The damaged scales will fall off during moult and will then regrow but it can take up to 12 months for them to look normal again.